Finally , I have been able to get back to the blog. We have had a very full few days. 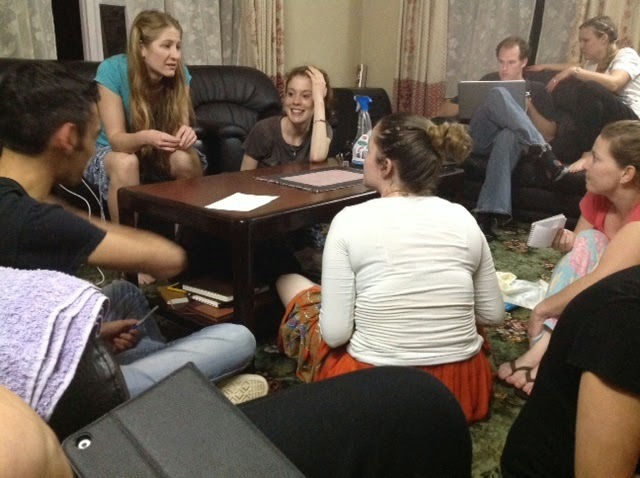 The team from our old church arrived, 11, and really filled the guest house. Then today, Trish arrived. So we had 24 in residence. WE have been deluged with rain the last two days. Our main road was a river and nearly impassible. I'm sure I saw the animals two by two. Anyway, it caused the power to go out so we were 28 hours without power, except for one half hour in the middle. A couple of hours after the team arrived we went to church then out to dinner. They were very weary. Someone said it was sensory overload. They have enjoyed every minute. The team was divided into three, each one going to see different things. Some of the ladies went to the Miriam centre to see our babies (toddlers now) and enjoyed playing with them. Then they offered to help with anything and to their surprise they were offered the opportunity of washing the dirty babies nappies in cold water, by hand. Now if that is not a servant heart, I don't know what is . 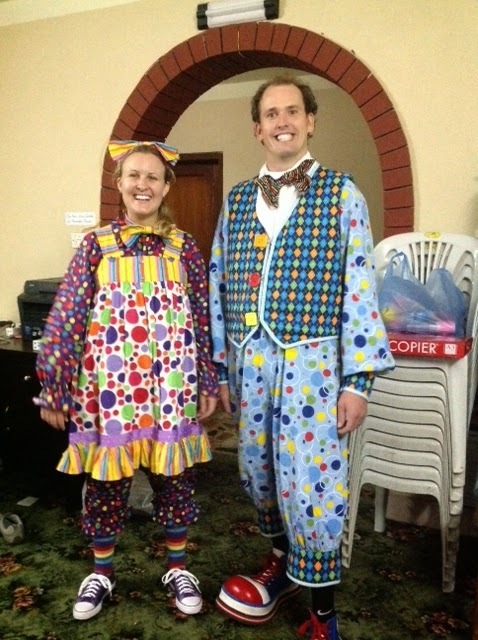 Aaron and Hannah visited two hostels and did their balloon art and face painting. It was a huge hit with the kids. The third team visited another hostel, and played games with the kids, which they joined in very enthusiastically. Tonight, we found trouble finding places to sit and eat dinner, and then in the lounge room later, the young people are sitting on the floor playing cards. It is really quite nice to sit here and listening to everyone interact sharing all the highlights of the day, and teasing each other. Anyway I'm off.